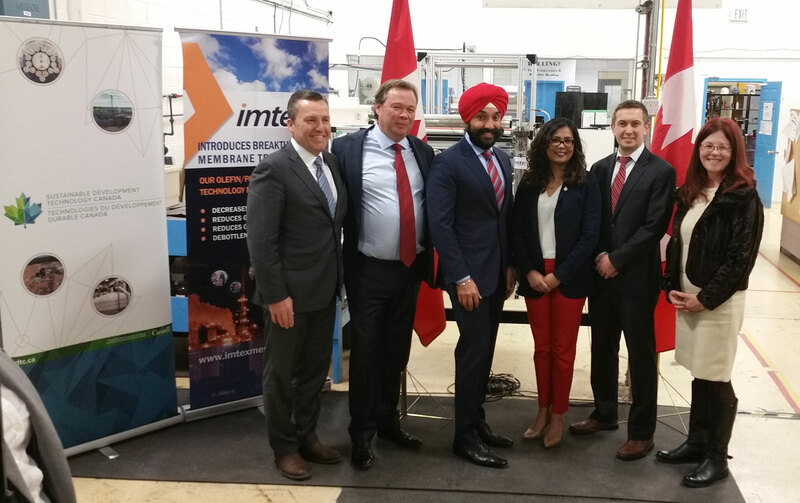 The Honourable Navdeep Bains, Minister of Innovation, Science and Economic Development of Canada, visited Imtex Membranes today to discuss the need of innovative clean-tech solutions that address the world’s environmental challenges while still creating jobs and economic growth for the country. Imtex Membranes, Permylene ™ Membrane Technology, provides a cost effective alternative to distillation for olefin purification and extraction for the petrochemical industry. This innovative product can reduce energy requirements by up to 30% compared to conventional technology and significantly reduce associated GHG emissions. Imtex Membranes would like to thank Canada for its support to the organization and to its commitment for the sustainability of the world’s environment .